The third and final really long movie that adapts a relatively short book is coming out soon, and Japan is getting into the spirit of The Hobbit: The Battle of the Five Armies with a Brave Frontier crossover. 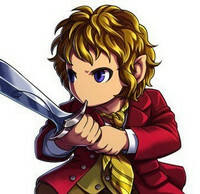 The hero of the book and film(s), Bilbo Baggins, will be making an appearance in Gumi's mobile RPG alongside Gandalf and Legolas. The three Tolkien characters can be found in their very own special dungeon, and you can see how Bilbo looks below. Look at those big hairy Hobbit feet! 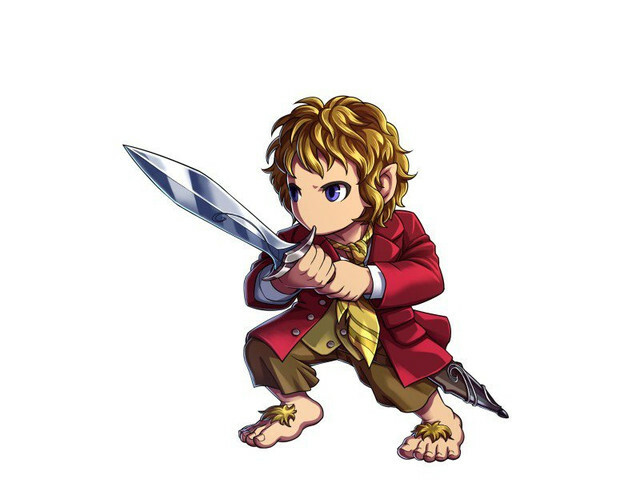 Brave Frontier players can look forward to adding Bilbo and venturing forth into the dungeon when the crossover launches at the end of the month.